Platforms like Facebook and Google have the ability to expand your targeting reach by creating “lookalike” audiences — audiences that “look like” a “seed” audience. For lookalike audiences to be effective, you must first give the platform a dataset that it can use to find MORE people who match the commonalities you specify. Lookalike matches expand your targeting reach exponentially. It gives you the ability to take a highly targeted seed audience of only a few hundred people, and find thousands more who share the same behavior patterns. 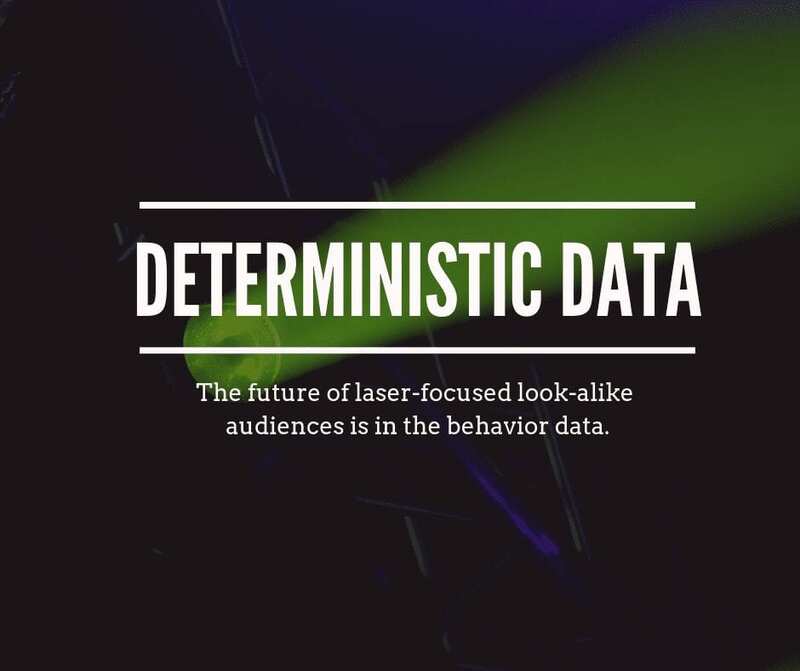 Because InMarketTargeting leads are based on real-time BEHAVIORS, not demographics and not probabilistic data but DETERMINISTIC data, the commonalities that the platforms analyze to create the lookalike audience are laser-focused. For example, when Google or Facebook analyze your InMarket Targeting list, their algorithms will quickly determine the behaviors those prospects are exhibiting and share (keyword searches, URL-level navigation, social behavior, etc.) center around one thing — they’re in the market for what your business has to offer. Once this is determined, it’s easy for them to provide even more prospects who are exhibiting those same behaviors. It’s simple… The better the input (InMarket Leads), the better the output (Laser-Focused Lookalikes). Because Facebook and Google run on relevancy algorithms, meaning that you’re rewarded for showing ads that are highly relevant to your target audience, your cost per click and cost per acquisition will drop. When that happens, your profits go up. You will be able to leverage two of the world’s largest advertising platforms and do it for 25%-75% less than anyone else.